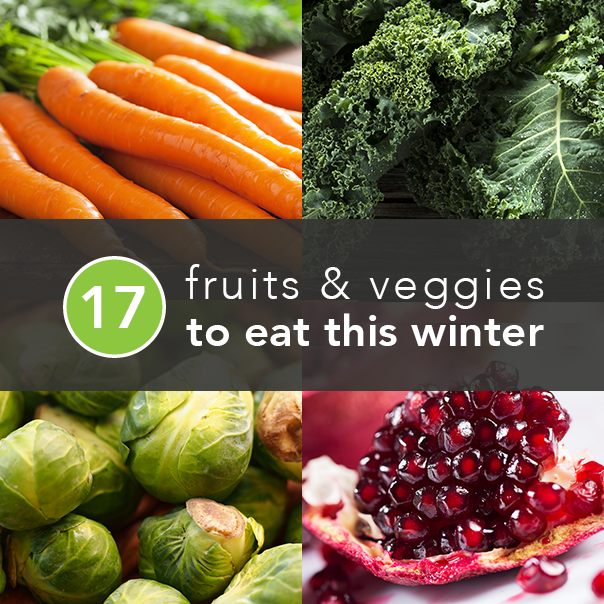 Winter has a lot going for it, but fresh produce is usually not on that list. In colder climates, eating locally through the winter can be downright challenging. But we’re here with some good news: Every meal doesn’t have to revolve around potatoes and onions until April. With a bit of advanced planning and creativity, it’s possible to eat fresh fruits and vegetables with plenty of nutrients and flavor all winter long. Read on to learn about some of the unexpected vitamin-rich cold-weather foods you should stock up on right now. Time to head to the cabbage patch, kid! This super-healthy, budget-friendly vegetable is a close cousin to other cold-weather favorites like cauliflower, Brussels sprouts, kale, and broccoli . 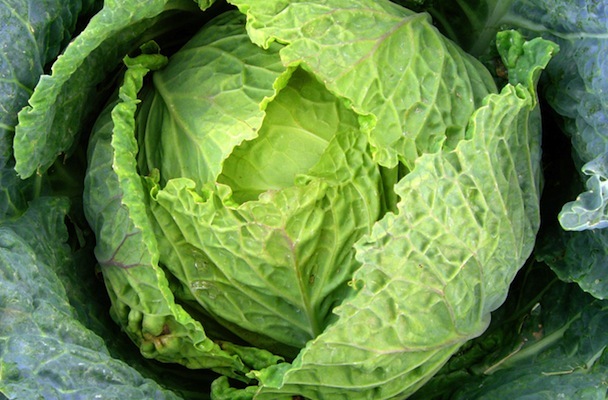 Cabbage is loaded with vitamins and minerals (Vitamins C and K and folate, in particular), fiber, antioxidants, and anti-carcinogenic compounds called glucosinolates. Some studies claim that the spherical vegetable can even reduce cholesterol and lower risk of cancer and diabetes . 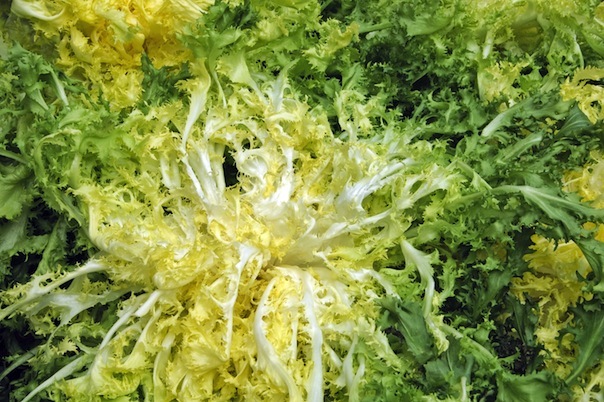 Peak Season: While some strains of cabbage are available starting in July, most varieties love cool weather and are ready for harvest through the fall and winter. Storage Tips: Tightly wrap individual heads of cabbage in plastic and stash in the refrigerator to keep ‘em fresh for up to a week. How to Eat It: Cabbage’s nutritional benefits are most pronounced when raw, so slice up a few leaves to add crunch to salads or stir fries. These trendy sprouts are finally getting their turn in the spotlight. The Brussels sprout, aka cabbage’s mini-me, boasts some of the same health benefits as it’s big bro. Like other cruciferous veggies, Brussels sprouts have high levels of cancer-fighting antioxidants that can protect DNA from oxidative damage . 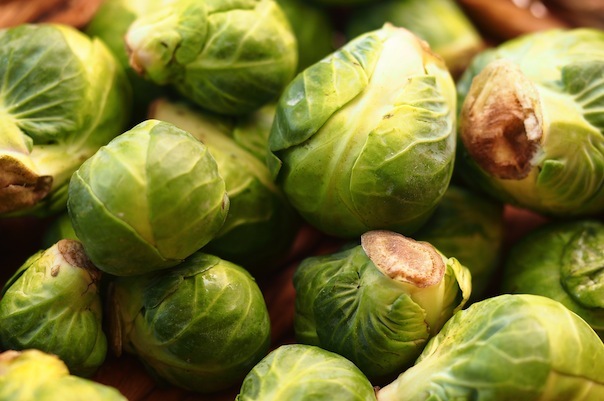 Storage Tips: Brussels sprouts will keep in the fridge for a few weeks. The outer leaves will shrivel, so remove them just before cooking your sprouts. How to Eat It: Toss halved sprouts with olive oil and roast until crispy and brown. Top with a light coating of brown butter and sage for a decadent (but still healthy) side dish. Get ready to taste the gourdy goodness! Acorn, butternut, kabocha, and delicata squash are all at their prime during the fall and winter. Golden squash flesh is loaded with healthy goodness like carotenoids, Vitamin A, and potassium . 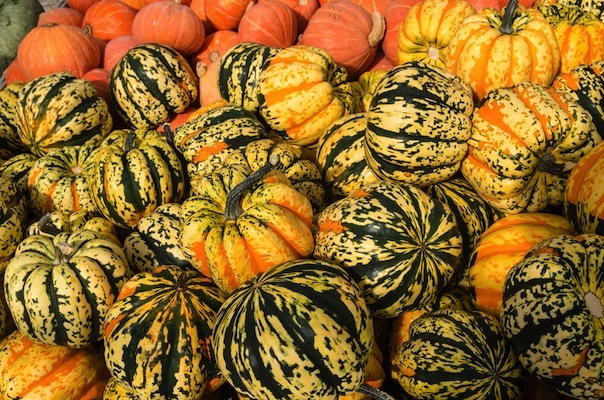 Peak Season: Winter squash hit the markets around late September and stick around through early March. Storage Tips: Even though they seem pretty solid, squash continue to ripen once they’re picked. Slow down the process by storing them in a cool, slightly humid environment (like, say, a basement or cellar). Under the right conditions, squash will keep for up to three months. How to Eat It: Since squash is healthy, fairly inexpensive, filling, and darn tasty, it’s no wonder there are thousands of awesome recipes for them. Get started with these five delicious dishes. Spuds get a bad rap, but they’re a staple food in many cuisines for good reason. Sure, potatoes are starchy and high on the glycemic index, but they’re also filling, inexpensive, and boast an impressive nutritional profile including potassium, magnesium, folic acid, vitamin C, and even protein . Fancy purple taters may even help lower blood pressure and boost antioxidants. While sweet potatoes are considered a healthier choice (since they’re loaded with beta-carotene, vitamins A and C, and fiber), regular old white spuds are still nutritious as long as you don’t fry ‘em or mash them with tons of butter and cream. Peak Season: Various varieties of potatoes are available year-round. 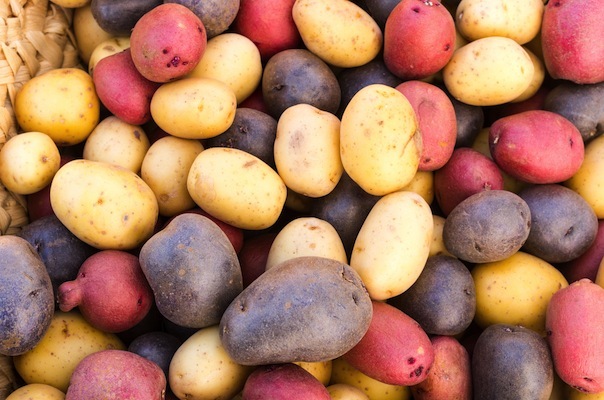 Storage Tips: Store potatoes in a dark, cool, well-ventilated area for about one month. Keep spuds away from onions and apples. At room temperature, potatoes will keep for one to two weeks. How to Eat It: Try a healthier take on the classic baked potato bar. Twice-baked spuds stuffed with kale, broccoli, and cheddar make for a tasty and comforting meal. Peak Season: Various types of onions are available all year round. 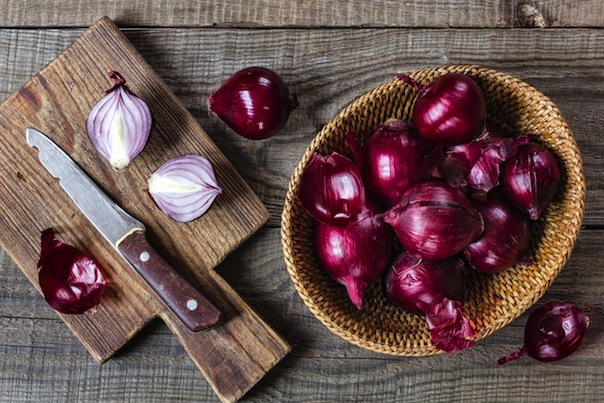 Storage Tips: Stash onions outside the fridge (they can go soft if refrigerated) in a cool, dry place for several months. How to Eat It: Sautéed white onion jazzes up this fig, ricotta, and arugula flatbread pizza. Sweet, earthy, and deep red, beets are pretty unique in the vegetable aisle. 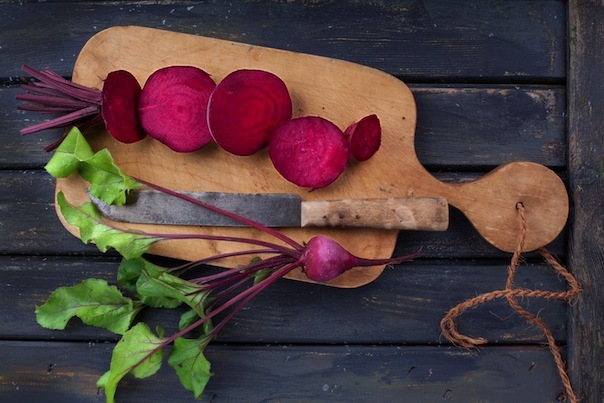 Beets contain antioxidants called betalains, which can help fight cancer and other degenerative diseases . They’re also rich in vitamins A, B, C as well as potassium and folate . They’re also a natural source of sugar (about nine grams per serving), so those looking to cut down on sweet stuff should take note. Not bad for a bright-red bulb, right? Peak Season: Beets are available early spring through late fall. Storage Tips: Store beet roots in a plastic bag in the refrigerator for up to a month. How to Eat It: Toss roasted beets and carrots with lentils and plenty of fresh herbs and spices to make a hearty, healthy vegetarian main dish. 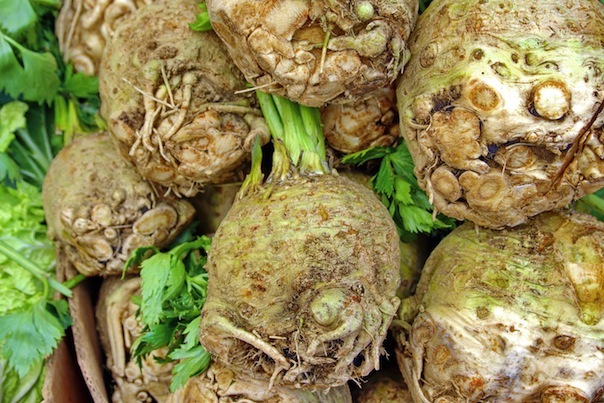 Celeriac is probably the ugly duckling of winter produce. It looks like a misshapen, greenish-white blob covered in little roots. Appetizing, right? But beyond the odd exterior, celeriac boasts a tasty, subtle flavor — somewhere between parsley and celery — and a hearty texture. It’s low in calories, high in fiber, and rich in vitamin C (a powerful antioxidant) and phosphorus (which contributes to strong bones and teeth). Peak Season: September through March. Storage Tips: Like other root veggies, celeriac will stay fresh in the fridge for up to a month. How to Eat It: Sub in celeriac for almost any root vegetable. Cube and sautée it for a tasty, healthy substitute for hash browns. Did your mom ever tell you to eat carrots for healthy eyes? 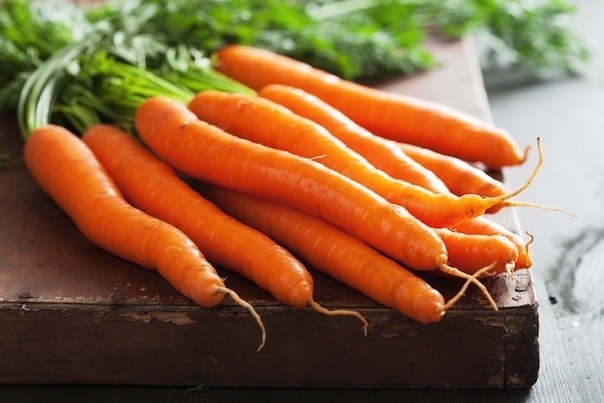 Bugs Bunny’s favorite food is loaded with the antioxidant beta-carotene, a compound that converts to vitamin A in the body . Vitamin A is essential for a strong immune system and healthy eyes, skin, and mucus membranes. The orange veggies are also loaded with vitamin C, cyanidins, and lutein, which are all antioxidants. Some studies show that eating carrots can reduce risk of cancer and even prevent cardiovascular disease . Peak Season: Available through late fall, although some varieties are harvested through the winter. Storage Tips: Like many root vegetables, carrots will keep in a plastic bag in the refrigerator for several weeks. How to Eat It: Bring out carrots’ natural sweetness with a side dish that combines the orange veggies, cinnamon, orange juice, and maple syrup. These purple-and-white bulbs might look like potatoes, but they’re actually related to cabbage, broccoli, and cauliflower. Confused yet? Perhaps because of this oh-so-confusing identity crisis, turnips and rutabagas are often (unfortunately) overlooked in the produce aisle. But they boast the same nutritional perks as other cruciferous veggies (namely cancer-fighting glucosinolates, vitamins C and K, folate, potassium, fiber, and calcium), plus their slightly sweet taste is a boon to nearly any dish . Peak Season: Available all winter long. 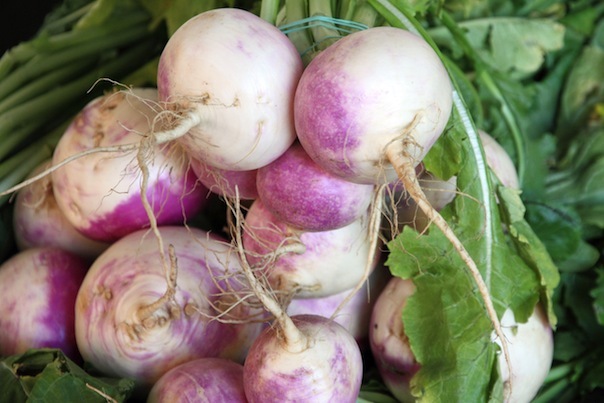 Storage Tips: Keep turnips and rutabagas in the fridge for a few weeks or in a root cellar for several months. How to Eat It: What’s cheesy, gooey, and surprisingly good for you? A lightened-up simple turnip gratin! Rutabagas can be subbed in for any dish that calls for turnips. These (white) carrot look-alikes are packed with nutritional goodness. The long, pale, tapered root veggies are loaded with fiber, potassium, vitamin C, and folate. Like carrots, they have a slightly sweet, earthy flavor that goes well with nearly any winter soup, stew, or casserole. Half a cup of cooked ‘snips contains 17 percent of your recommended daily allowance of vitamin C and just 55 calories . Peak Season: Parsnips are at their best in the late fall and early spring. 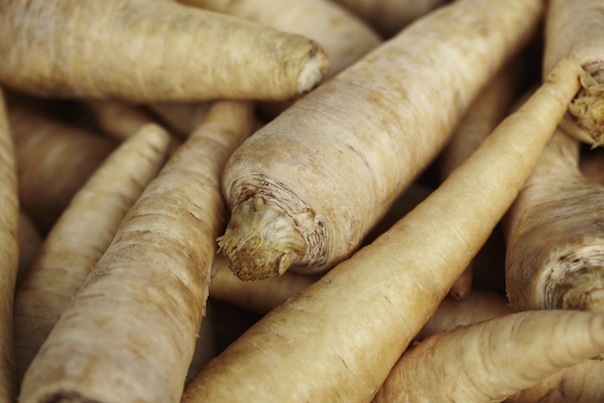 Storage Tips: Store parsnips in a bag in the refrigerator for three to four weeks. How to Eat It: Combine roasted parsnips with Granny Smith apples (and a few other essential ingredients) for a smooth, fall-flavored soup. Sweet potatoes might win the award for “Most Versatile Tuber.” These orange-hued delights are loaded with fiber, beta-carotene, vitamins A and C, and antioxidants . Plus, since they’re fairly low on the glycemic index, they’re great for filling up without getting weighed down . Peak Season: Sweet potatoes are available year-round, but they’re best in the fall. 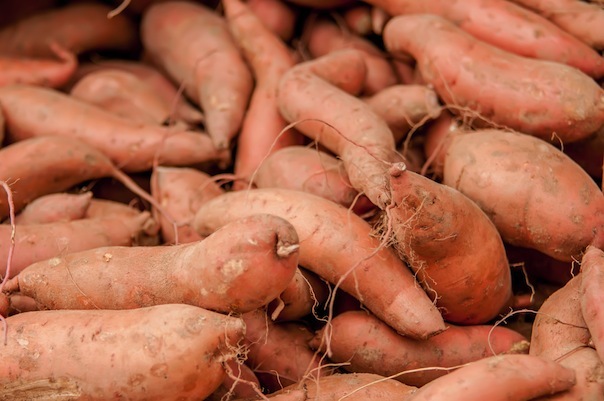 Storage Tips: Keep sweet potatoes in a cool, dry place outside the refrigerator for up to two weeks. How to Eat It: It wouldn’t be fair to pick one of these 45 sweet potato recipes and not try the rest. Pro tip: Sweet potato brownies are a thing. Besides being one of the most fun words in the English language, radicchio (pronounced ra-DIK-kio) is a member of the chicory family along with endive and escarole. Its red and white, slightly spicy and bitter leaves are loaded with vitamin C, magnesium, potassium, and vitamin K. Plus, this leafy veg is extremely low in calories, so add it to any dish for a low-cal dose of crunch and flavor. 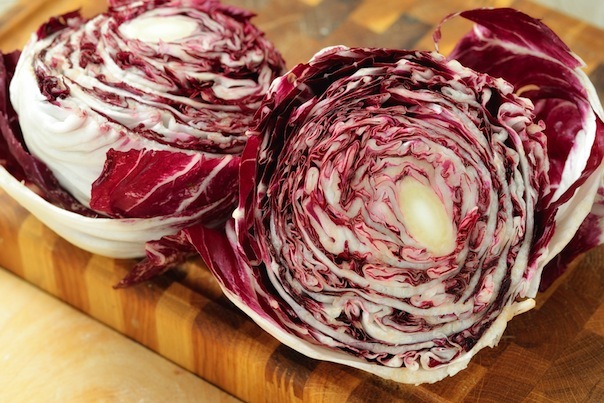 Peak Season: There are three main varieties of radicchio available in the U.S., Chiogga, Treviso, and Tardivo. Tardivo radicchio is available throughout the winter. Storage Tips: Keep it in the refrigerator wrapped in plastic for up to three weeks. How to Eat It: Sautéed radicchio adds a kick (and a nice serving of vitamins and minerals) to this easy pasta dish. Dark winter days getting you down? Grab a handful of cheery citrus to last you until summer fruit season. And while they’re not so great for your teeth, citrus fruits are loaded with vitamin C and flavonoids, which may reduce risk of cancer . Citrus consumption has also been linked to lower risk of a laundry list of ailments, including Alzheimer’s disease, Parkinson’s disease, diabetes, cholera, gingivitis, cataracts, and Crohn’s disease. Stock up on lemons, oranges, grapefruit, kumquats, blood oranges, limes, and clementines to get your citrus fix this winter. Peak Season: Citrus fruits grown in warm climates are ripe for picking between late October and March. 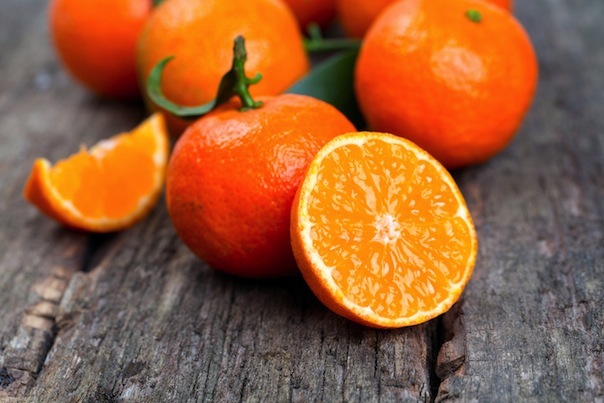 Storage Tips: Store citrus in the refrigerator for a few weeks, or at room temperature for up to four days. How to Eat It: Try one of these five healthy citrus recipes. Or just peel and eat! 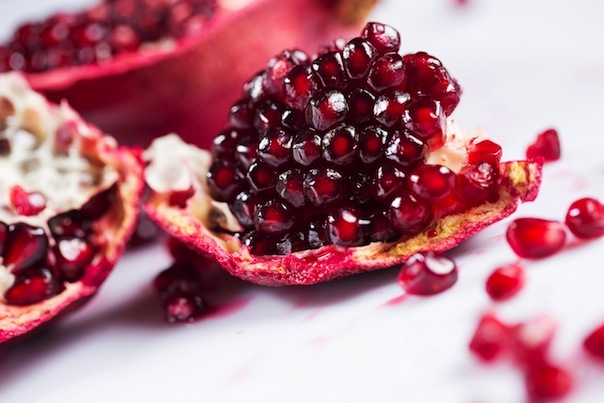 Pomegranates are one of the world’s oldest fruits (Greco-Roman mythology, anyone?) as well as one of the most nutritious . The ruby-colored seeds are packed with antioxidants and anti-inflammatories that can help treat heart conditions like high cholesterol, high blood pressure, heart attack, and congestive heart failure. Studies show that drinking pomegranate juice can reduce build-up of fatty deposits in arteries, which is a culprit behind many heart conditions . Extracting the seeds from a pomegranate can be tricky, but the heart-healthy, sweet-sour pods are well worth the effort. For a less laborious option, add a splash of no-sugar added pomegranate juice to a glass of seltzer. Peak Season: The globe-shaped fruits are in season from October through January. Storage Tips: Keep pomegranates in the refrigerator for up to two months, or at room temperature for one to two weeks. How to Eat It: A sprinkling of pomegranate seeds adds some tart, bright flavor to a winter kale salad. 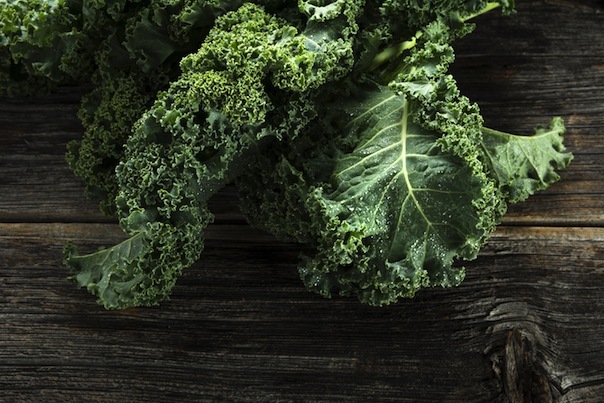 Trendy kale and flavorful collards have their moment in the sun (ironically) during the winter. These veggies are rich in vitamins A, C, K, and E, as well as iron, calcium, manganese, potassium, and phytochemicals and antioxidants . Plus, they’re low in calories and versatile enough to fit nearly any dish. Kale and collard greens are members of the super-healthy brassica vegetable family, which means they aid in digestion, help lower cholesterol, and protect the body against cancer . Peak Season: Kale is grown in warmer climates and the Pacific Northwest throughout the winter months. Storage Tips: Wrap washed and dried greens in paper towels, then put the whole shebang in a plastic bag in the fridge. Greens will stay fresh for one or two weeks. How to Eat It: Swap kale, chard, or collards for lettuce to make a nutrient-rich salad. This uncommon green is a little bitter, but adds welcome freshness to late-winter cooking. It’s a bit crunchy, like lettuce, and wilts easily, like spinach. It’s a member of the chicory family, so it’s also related to endive, radicchio, kale, and chard. Like other greens, escarole is high in folic acid, fiber, and vitamins A and K.
Peak Season: Escarole grows through fall and early winter in warmer climates. Storage Tips: This dainty green is a bit delicate, so eat it up quickly. Wrapped in paper towels and stored in an open plastic bag, escarole keeps in the refrigerator for up to four days. How to Eat It: Escarole adds some bright-green freshness to a classic Italian soup. With feathery leaves on top, a round, onion-shaped bulb on the bottom, and a licorice-like taste throughout, fennel is definitely one of the stranger vegetables out there. (And by “strange” we mean awesome and delicious, of course.) It’s a little bit sweet, kinda crunchy, and—above all—super healthy. The licorice flavor is due to a compound called anethole, which has been shown to reduce risk of certain cancers, aid digestion, suppress inflammation, and naturally thin blood to prevent clots . Fennel also boasts a boatload of vitamins and minerals like vitamin C, potassium, magnesium, and copper. Peak Season: Fennel is available at the market from late fall through early spring. 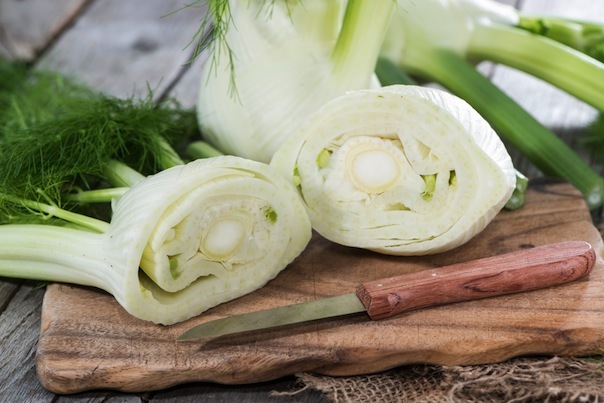 Storage Tips: Wrap fennel bulb in a paper bag and store in the refrigerator for up to five days. How to Eat It: Yes, it’s possible to make a crisp, totally fresh salad during the winter. Try this fennel and celery dish for a crunchy cold-weather lunch. Their mission? Help the world think of health in a healthier way.